The light on the sails of this tall ship caught my eye. 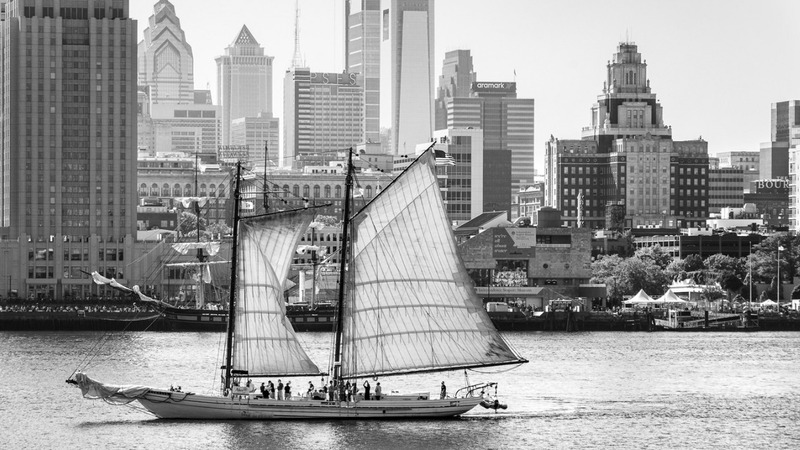 The black and white conversion is perfect for this to limit the distractions of all the buildings and activity on the shoreline and it also helps to make the shape of the sails and tall ship more distinct to separate it from the background. This is also a great reminder to travel in your own backyard. The A. J. Meerwald is the state ship of New Jersey where Michael is from.